Acer's newly announced Aspire 6935G Gemstone notebook promises to be the cheapest laptop on the market featuring 16:9 aspect ratio and a Blu-ray drive this Christmas. For £599 the Acer Aspire 6935G will offer full 1920 x 1080 HD viewing on the go, whether or not you want to watch TV, using the in-built TV-tuner or the latest Blu-ray blockbuster. With Dolby Home Theater, CineSurround, Tuba CineBass booster and True5.1 surround sound it's doubtful that you will be disappointed with the performance of this baby. 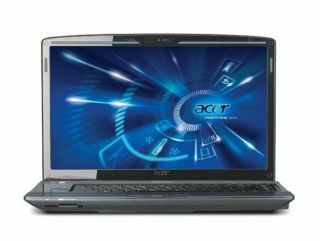 Specs wise, you're getting pretty decent 'bang for your buck' as our American friends would say, with an Intel Core 2 Duo processor, Mobile Intel PM45 Express chip, and NVIDIA GeForce graphics card, with the option of up to 320GB of hard drive space. Acer also plans to make the slightly larger 8930G 18-inch screen version with up to 640GB of hard drive storage available for Christmas (price still tbc). At £599, it's almost worth not buying that PS3 or stand-alone Blu-ray player, and getting this instead this Christmas.